Breaker Technology welcomes Mike Sheffield, International Sales Representative for Europe, Russia, Mongolia and “Stan” countries. 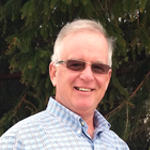 Mike comes to Breaker Technology with over 35 years of experience in the mining equipment business. His varied background includes engineering design, sales/marketing, project management and product management. Mike has an extensive travel log throughout his career. His knowledge of the international marketplace will continue to equip BTI customers and mines worldwide, keeping companies productive and profitable. "I am eagerly looking forward to being part of an exciting team at BTI, where customer focus and innovation are among the cornerstones of the business." says Mike. Anyone needing some assistance in the international marketplace, email Mike at msheffield@rockbreaker.com or call him driect at 705.888.6929.